Complementary Therapies for Alternative Cancer Treatment in Rhode Island. At I.M.120 we believe in using every credible weapon to defeat cancer. Conventional medicine does a good job of directing chemotherapy, radiation and surgical treatments. Cutting and burning at times can be an essential component in the fight against cancer. However, there is much more that can and should be done. Many supplements have proven value in fighting cancer. If you are like many patients, upon learning of your diagnosis you may head to the Internet and read everything you can about your cancer and how to fight it. The information can be overwhelming. Every supplement and every recommended dietary pathway seems to have merit. How to select the best approach becomes a challenge. 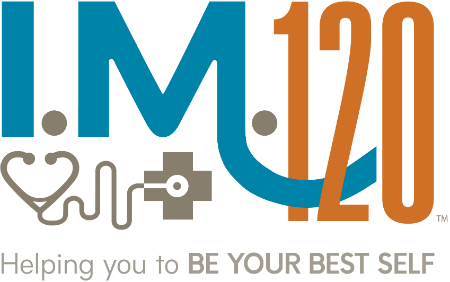 At I.M.120 we believe in working with you to select the best cancer fighting supplements for your situation. By combining the expertise of conventional oncologist, with the expertise of Intellectual Medicine you can give yourself the best chance for recovery. In addition to helping guide you to the best and most efficient use of oral supplements, the providers at I.M.120 are experts in the use of advanced intravenous protocols for fighting cancer. There is abundant literature supporting the role of intravenous high-dose vitamin C. It has been shown to be toxic against many forms of cancer without causing any side effects. In nearly every case it's use will complement and improve the effect from conventional chemotherapy. At I.M.120 we also have the most cutting edge combinations of alpha lipoic acid with high-dose vitamin C. Each agent has a different mechanism of action that has been shown to be toxic to cancer cells. By combining them into one treatment protocol, the potential benefit can be amplified. In addition to fighting the cancer, we will help support the strength and vigor of your body. By using advanced nutritional, intravenous supplements, and in some cases hormonal support, you can maintain your energy and vitality while fighting cancer. At I.M.120 we have the time, the interest, and the passion to research novel approaches to fight cancer. BioCept - using a simple non-invasive blood test, sometimes referred to as a liquid biopsy, to help doctors and patients create more personalized, responsive treatment plans by tracking cancer in real time. IvyGene - The IvyGene™ test has been validated with four (4) cancer tissues of origin: breast, colon, liver and lung cancers. The presence of other cancer types may also result in an elevated IvyGene™ Score. Many clinicians have come to believe that even once it is "cured" cancer never truly goes away. There are simply too many cases of men and women who have been declared cancer free only to have the cancer come roaring back later in their lives, often at an advanced and incurable stage. Cancer cells may lie dormant within you waiting for a moment of physical or immunological weakness to start reproducing. The "doubling time" (how long it takes cancer cells to double in number) can take months to occur, but once it starts it's just a matter of time before the cancer reappears. The best time to treat cancer is when you don't know that it's even present, when it is at a cellular level. Of course the challenge is how to do this in a way that will not cause harm. At I.M. 120 we have developed our "secondary prevention" protocol. This approach uses IV infusions of high-dose vitamin C (The High C drip) given at periodic intervals, most commonly once a month, in order to kill any budding cancer cells. Since intravenous vitamin C has practically no side effects and is safe for your native cells, this makes it a perfect option for patients who are feeling well but have had cancer in the past. Another benefit to vitamin C is that it is toxic to a wide range of cancer cells. Unfortunately, if you have ever had any form of cancer you are likely to be more prone to develop a second, new cancer since your body has shown a vulnerability to developing cancer. Since it is so painless, quick and inexpensive, this form of secondary prevention can be continued indefinitely. Your providers at Intellectual Medicine will also help you structure and oral supplement regimen to diminish the risk of cancer relapse. Nutritional and weight management guidance will also be offered. At IM120 we are experts in treating obesity. Excess adipose cells are he recognized as a contributor in over 12 different types of cancer. You can do more than simply wait and watch to see if the cancer comes back. At Intellectual Medicine we will help you live the anticancer lifestyle. Intravenous vitamin C in the treatment of shingles: results of a multi-center prospective cohort study. High-dose vitamin C (ascorbic acid) therapy in the treatment of patients with advanced cancer. The Effects of IV vitamin C on Cancer and chemotherapy related fatigue and quality of life. High-dose parenteral ascorbate enhanced chemosensitivity of ovarian cancer and reduced toxicity of chemotherapy. Phase I clinical trial to evaluate the safety, tolerability, and pharmacokinetics of high-dose intravenous ascorbic acid in patients with advanced cancer. Systematic Review of Intravenous Ascorbate in Cancer Clinical Trials.